No one is born evil, But sometimes when you go through hell, the only way out, is to walk deeper into the fire. Way back in September we reported on Harry Potter himself sporting a pair of horns for the aptly titled new film, "Horns." Now we can anticipate this Daniel Radcliffe film around Halloween and thanks to Entertainment Weekly, watch a new teaser trailer. Directed by Alexandre Aja, the film is based on Joe Hill’s supernatural mystery novel about a young murder suspect who sprouts horns. Joining Radcliffe is Juno Temple, Heather Graham, and Max Minghella. 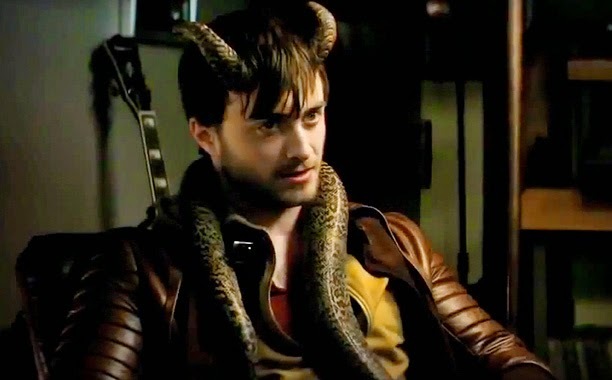 EW reports that "Horns" "premiered at Toronto last fall and is coming to San Diego’s Comic-Con next week."